A 62-year-old man said it was a ‘genuine mistake’ that he was driving a van on the A1 without insurance on December 17 last year. He was Phelim Pius Felim O’Hagan, whose address was given as Elmwood Terrace, Banbridge. However during the case last Thursday at Banbridge Magistrates Court he said he resided at Somerville Avenue, Walkingstown, Dublin. Representing himself he pleaded guilty to driving without insurance. 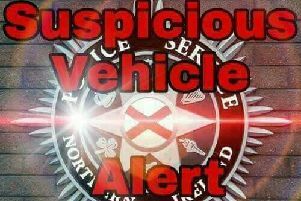 The court heard that he was driving a Ford Transit van on the A1 at Banbridge and police checks showed it may not have been insured. He was asked to produce insurance but it transpired he was not insured. O’Hagan told the court that he had got a loan of the van from a friend who owned a courier company. He explained it was a new van and the insurance had not been transferred with the father thinking the son had done it and the son thinking the father had done it. District Judge, Mr Paul Copeland, said that in view of the defendant’s exemplary record he would impose an absolute discharge. He imposed six points for the offence.